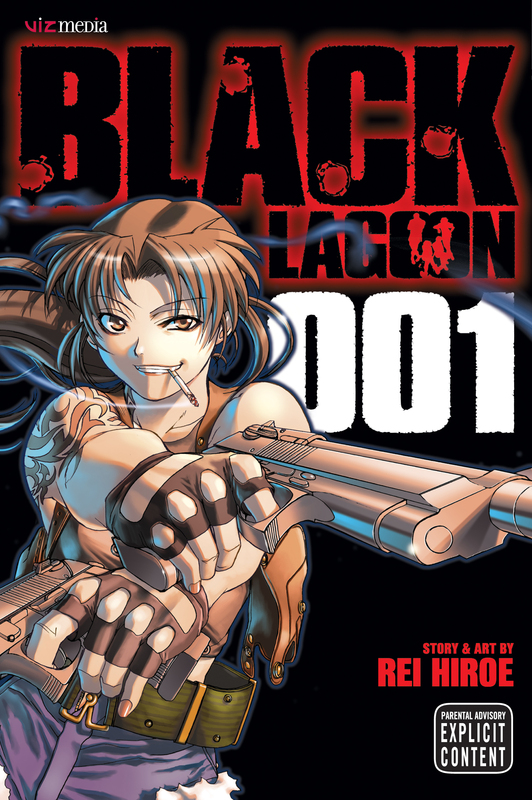 Black Lagoon volume 1 was illustrated be Reu Hiroe and was published on 12th of December, 2002. This volume contains the first five chapters (00-04). In this volume, we are introduced to Rokuro Okajima, your typical everyday salaryman living the boring everyday life. Then, one day whilst out on an assignment for the company he works under, his ship is boarded by pirates and he is taken hostage the crew of the black lagoon. The crew consists of Dutch, the boss, Benny, the mechanic and Revy Two Hand. Upon his capture, Rokuro finds himself reluctantly being thrown headlong into the bowels of society, A world of degenerates, violence, drugs and money. Rokuro will have to adapt quickly if he is ever to survive his new life in the underbelly of society. My Review: Black Lagoon was an anime that iv had on my radar so when I came across the entire set of manga I knew I just had to pick it up and give it a read. So far I’m really enjoying it. All the characters are brilliantly unique and each has a great personality (except for Benny who seems boring at the moment, due to lack of development). There is quite a lot of really cool action in the gun fights although it seems that quite often there is so much happening in each panel that it can get a bit confusing of what’s actually going on. I can’t really say too much about the plot as of yet considering that it is really just starting out, but from what I can tell I’m quite excited for reading future volumes especially if they keep the same vibe and energy.